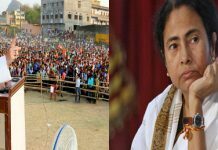 Kolkata: After March dilly-dallying, the West Bengal State Election Commission today announced the new schedule for Panchayat polls in Bengal. Going by a notification issued by the Commission this afternoon, the Panchayat polls in the state will now be held on a single day, that is, on 14 May from 7 am to 5 pm. The counting of votes is likely to be held on 17 May but a separate notification for this will be issued by the Commission at a later stage.Re-polling if any will be held on 16 May. Earlier the Panchayat polls were to be held in three phases on 1, 3, and 5 May and the counting of votes was to be held on 8 May. 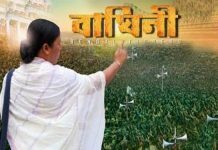 But the original schedule had to be discarded as the opposition political parties moved the Calcutta High Court over violence by Trinamool during the filing of nominations. This made the High Court ask the State Election Commission to provide an extended window for the filing of nominations and rework the election schedule. 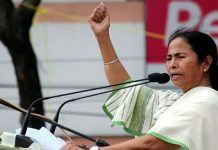 Sources have claimed that in the changed circumstances the Commission wanted to hold the polls in two phases but the state government has been an adamant on a single day voting as Chief Minister Mamata Banerjee wants the elections to conclude before the start of Ramadan and before the scorching summer sets in. Accordingly, going by the West Bengal Panchayat Elections Act, the state government this afternoon notified 14 May as the Panchayat election date. This, in turn, compelled the election commission to issue a matching notification endorsing 14 May as the date of voting. This is even as the opposition parties have flagged their worries about security arrangements on the day of election as the number of state police personnel is far less than the number of polling booths. The nomination phase for the Panchayat polls has already witnessed widespread violence in different parts of the state and has claimed several lives already.